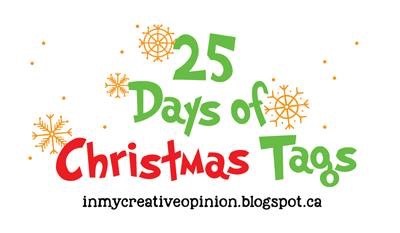 Hello and welcome to the 8th annual 25 Days of Christmas Tags by Tracey McNeely. 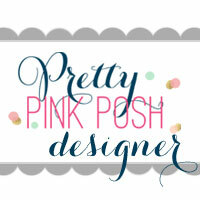 I am very happy to be joining this event for the first time with Pretty Pink Posh. I came up with idea of making 3 tags using Pretty Pink Posh Angel Friends Stamp set and other dies and embellishments.I colored all images from Angel Friends Stamp set and Fussy cut them with scissors. To save you tons of time, you could get the matching dies. I then die cut the background using Pretty Pink Posh Scallop Diamond Tags Die to prepare all tags. Now it is time to decorate them! I ink blended with Tim Holtz Distress oxide ink in Tumbled Glass. I splattered ink and water mixture on the top to bring some interests. Then I die cut from a piece of white cardstock paper using Tic Tac Toe Die and attached it to the background with Foam stripes. I attached colored images and embellish the tag with Pretty Pink Posh Jewel in Sea Glass and 3 mm Sparkling Clear Sequins. I ink blended with Tim Holtz Distress oxide ink in Picked Raspberry. I splattered ink and water mixture on the top to bring some interests. I simply attached colored images using Foam tape to finish this tag. Sometimes, less is more! I cannot resist to make a shaker, so I made my last tag a shaker tag. I ink blended with Tim Holtz Distress oxide ink in Shaded Lilac and wilted Violet. Then I used Pretty Pink Posh Stitched Diamonds Die to cut inside of my prepared tag in order to create a window. I added a piece of acetate paper underneath the frame, poured some Pretty Pink Poshs Seed beads in Lilac and Sparkling Clear, then closed the window with Foam stripes. At last, I arranged colored images on the top. You are also invited to play along and make your own tags and link them up. 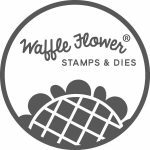 Be sure to check out Tracey’s blog to read more about the 25 Days of Christmas Tags event and how you can win all sorts of fantastic prizes and be inspired to create. This entry was posted in Cards and tagged 25 Days of Christmas Tags, Blog Hop, Pretty Pink Posh. I love the different backgrounds you made and those sweet colours. These would be so pretty hung on either gifts or the tree! Alix, your angel tags are absolutely heavenly! So incredible sweet and beautiful! Festive spirit soaring in seeing your lovely tags that are gifts in and of themselves! point, rather than as a square. the little designs are darling. Such sweet little angels and soft colors! I love your darling angel tags, Alix. A fabulously inspiring idea to use angels. These are adorable! Your tags are adorable! Those little angels are so sweet, and I love the pastel colors. The scalloped diamonds make for really pretty tags. lLove your colors, patterns, layers, coloring, and design. Just darling! SO sweet Alix, very delicate abd the shaker is adorable. Girl, your tags are AMAZING! I love the color choice and the detail. Awesome! I LOVE your sweet little angel tags! The colors are so soft and bright, and they all look amazing! Wonderfully sweet and darling tags! Fabulous designs.